It couldn’t possibly be that their Davos ideals were weak. Russia must be to blame. The Intercept’s Glenn Greenwald recently compiled a list of the top 10 “most embarrassing media failures on the Trump-Russia story.” All of them exhibit a common theme: Russian conspiracies are undermining American interests everywhere. Greenwald’s piece was followed by a bizarre New York Times storyfrom January 16 with the headline: “Trump and Putin: Five Meetings Infused With Mystery.” The story implied something sinister in undisclosed conversations between the two leaders while offering no evidence whatsoever. What causes otherwise intelligent people to put their faith in conspiracy theories? A common explanation on the Right is that these conspiracies are cynically concocted to overthrow the Trump presidency. Another explanation points to declining standards of journalism, i.e., reporters being too incompetent to refute groundless claims. Both reasons have merit yet both fail to explain the peculiar estrangement from reality that a belief in baseless conspiracies represents. In the early stages of the French Revolution, the Jacobins imagined that the beacon of a democratic France would shine across the world and tyrannical kings would topple before its luminescence. The Jacobin imagination was polluted by utopian idealism, the ideology that causes people to see the world how they wish it to be rather than how it is. When the luminescence of France began to fade and the revolutionary army began to falter, the Jacobins felt there could only be one explanation: conspiracy. Only a deep-seated plot could be preventing France the Savior from vanquishing retrograde monarchs. From the beginning, the virtuous Jacobins saw themselves as fighting a conspiracy against the rights of humanity. Hence the Reign of Terror, with the guillotine deployed against priests and nobles who were seen as forming the core opposition to a better world. Idealism and conspiracy theories are, it seems, opposite sides of the same coin. When the dream fails to materialize, its validity is not questioned; instead the search to find those who connived against it begins. Like the Jacobins, the foreign policy establishment in the United States has for decades hitched its wagons to idealistic dreaming. The Romantic ideas of Hegel and Rousseau permeate their thinking. Consider the establishment’s obsequious reaction to Francis Fukuyama’s “end of history” thesis. 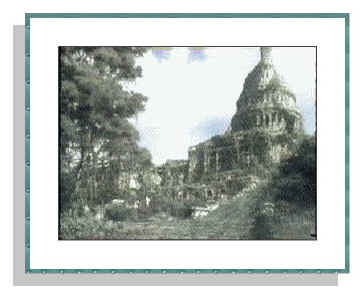 Fukuyama presented himself as the all-seeing gnostic who had divined the direction of all human history. One does not need the acumen of an Aristotle to know that this was far from an original thesis. Fukuyama’s Hegelianism was both warmed over and unmoored from reality. And yet the foreign policy establishment swooned over him. The Bush 43 administration fell so hard for him that they tried to give history a little push by invading Iraq. Or consider the globalist dreaming of the elites that Samuel P. Huntington labeled “Davos men.” In the Davos dream, culture, history, and religion are archaic relics of a world fading away. National borders are disappearing, and a new global order is emerging, led by secular multilateral institutions staffed by an all-knowing “cosmopolitan” elite. The reality of a borderless world is global migration that threatens to extinguish much of Western civilization in a generation or two. With cultures clashing, nationalism on the march, and religious wars raging, the Davos men continue to worship their dream from the safety of their Gulfstream jets. And to the Davos men, only a conspiracy can explain the election of Donald Trump. How else could such a regressive development have occurred when history is cascading toward open borders, democracy, and international institutions? How could an American president question the value of NATO and other alliances whose glorious mission is to midwife the end of history by democratizing everything from Lisbon to the Urals? For those in a dream world, the only possible explanation for Trump is a conspiracy. His presidency was hatched by Vladimir Putin, the world leader with the strongest reasons for slowing the progressive march of history. Trump won the election because Putin has the powers of a Rasputin. He can thwart history by crossing his eyes, pulling secret levers, and deploying hackers. But Trump and Putin will not be permitted to conspire against the dream. Their conspiracy must be destroyed, even at the risk of nuclear war. Special counsels must be created, eavesdropping must be expanded, foreign spies must be employed, and jackbooted agents must break down every door linked to this insidious conspiracy. The ruling elites are prepared to tear up the Constitution itself to save humanity from this diabolical cabal. The resilience of the Russia conspiracy in the minds of our establishment should remind us that the primary obstacle to a sensible foreign policy is our ideologized culture, in which the Western outlook of common sense has been eroded by a Romantic utopian idealism. When people within reach of massive military power are this estranged from reality, the situation can only be described as frightening. William S. Smith is research fellow at and managing director of the Center for the Study of Statesmanship at The Catholic University of America. Lawsuits filed by Massachusetts Attorney General Maura Healey and others say Purdue Pharma was brazen in efforts to manipulate physicians into prescribing OxyContin. 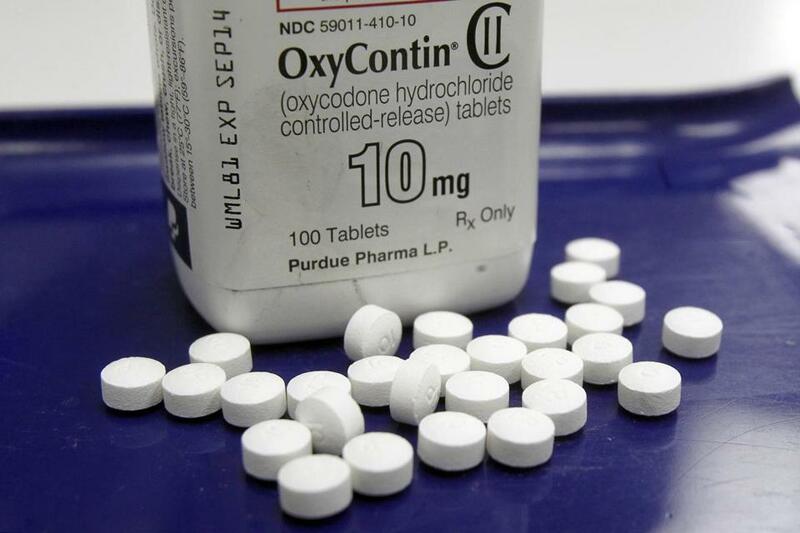 Lawsuits by the Massachusetts attorney general and others have detailed Purdue Pharma’s brazen efforts to manipulate physicians into prescribing OxyContin and other potentially deadly opioids. Purdue sales reps made an astounding 150,000 visits to doctors and pharmacists in Massachusetts between 2007 and 2018. And boy, did they pay off: The AG claims the company raked in $500 million in revenue, after doctors here prescribed 70 million doses of its opioids. But why did so many fall for Purdue’s pitch? Some doctors were nakedly corrupt, testaments to the fact that a white coat is no guarantee of probity. The attorney general’s complaint includes examples of doctors who got tens of thousands in payments and gifts from Purdue, and who wrote blizzards of prescriptions that fed an epidemic of addictions and overdoses. But Purdue put the hard sell on decent health workers, too: doctors and others whose prescriptions also fueled the crisis. “Most of the patients who went to the pill-mill doctors were already hooked because of prescriptions written by well-meaning doctors,” says Dr. Andrew Kolodny, a Brandeis University researcher and head of Physicians for Responsible Opioid Prescribing. And those professionals were distressingly easy to sway. It turns out, it doesn’t take much to persuade upstanding doctors to do what a sales rep wants: Even cheap meals — say, a lunch for $13 — can do the trick. “The more meals they get, the more they ultimately prescribe,” said Dr. Scott Hadland, a pediatrician and addiction researcher at Boston Medical Center. His research shows that facetime is a crucial factor influencing doctors’ prescriptions. For most doctors, writing prescriptions to please a sales rep isn’t intentional, Hadland said. But physicians are persuaded by marketing, just like everybody else. Now, there’s a discomfiting thought. And that marketing isn’t always as obvious as a hefty speaking fee or a free burrito. Purdue and other companies helped grow the market for their drugs not just through an army of sales reps, but also by changing the culture around pain: pushing the notion that there was a vast epidemic of untreated chronic pain and that opioids should be a first-line treatment rather than a last resort. Drug companies poured hidden millions into patient advocacy and other groups pushing opioid-friendly messages. A US Senate report found that Purdue, Insys Therapeutics (currently the subject of a federal racketeering prosecution over its sales tactics), and three other opioid manufacturers contributed a whopping $10 million to these groups between 2012 and 2017. All of this is not to say that opioids aren’t sometimes the best treatment for people in pain. But we’re in big trouble if the decisions of trained medical professionals can be swayed by corporate marketing departments. Massachusetts has enacted legislation designed to monitor and slow the flow of opioid prescriptions. The CDC and the Massachusetts Medical Society have narrowed guidelines, too. But the ugly ecosystem exposed by the Purdue case goes beyond opioids. Sales reps and stealth marketing influence doctors to write more prescriptions for other potentially dangerous drugs, too, like Ritalin or Klonopin. Or to prescribe a more expensive, name-brand drug over a generic one, raising costs for everyone. It’s hard to legislate all of that away. Instead, we need better firewalls. It’s up to doctors to protect themselves — and their patients — from the dark arts practised by Purdue and other drug companies. Most of our hospitals already limit contact between sales reps and doctors, and prohibit or monitor payments and gifts from drug companies. Family doctors, and those in small practices, must do the same, capping their interactions with sales reps to avoid being swayed by them. MOSCOW, September 28 – RIA News. 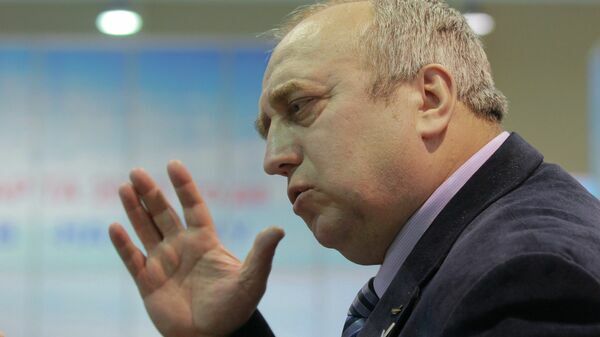 The US is interested in destabilizing the situation in Central Asia, they expect that this will “shatter” the situation in Russia, taking into account the “transparency” of the borders between the CIS countries and Russia, said the first deputy chairman of the Federation Council committee on defense and security, Franz Klintsevich. “There is a direct US interest to destabilize the situation in Central Asia, including through the use of the IG (banned in the Russian Federation). The Americans believe that this will allow them to shake the situation in Russia. The transparency of the borders between the CIS countries and Russia is taken into account, – quotes the senator of his press service. In this case, the United States considers China to be a “long-range view” to loosen the situation, he believes. According to Klintsevich, Russia’s clear political interest is that it views its security as an inseparable link with the security of the countries of Central Asia. “Ensuring the antiterrorist security of the countries of Central Asia is a necessary condition for ensuring the terrorist security of Russia itself,” he said. 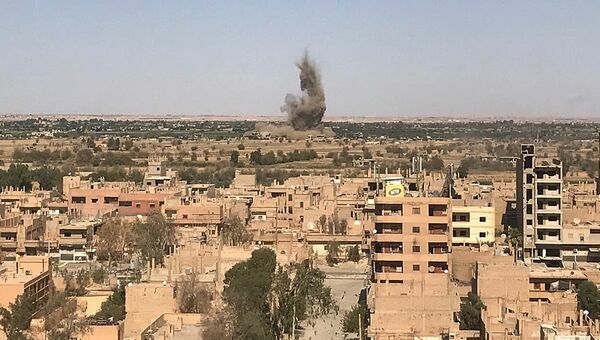 The senator noted that the new challenges require the countries of Eurasia and the new quality of antiterrorist cooperation in terms of both political interaction in the fight against terrorism, and military-technical and operational base, based on which this struggle is being waged. He believes that these issues will be the focus of the international conference, which opens on September 29 in Dushanbe. It will be devoted to the fight against terrorism and extremism in Eurasia and the use of joint experience. 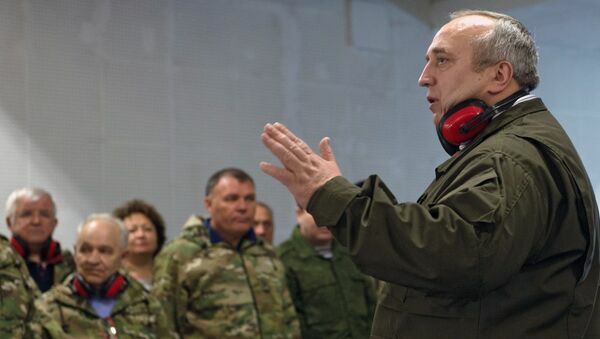 As Klintsevich stressed, the conference is being held at a “critical” moment, when the IG terrorists, losing the territories under their control, will be forced to concentrate on the “asymmetric” methods of war. “In your face” stupidity or bootcamp-like deliberate public humiliation? Remember the almost universal reaction of horror when Bolton was appointed as National Security Advisor? Well, apparently, either the Neocons completely missed that, which I doubt, or they did what they always do and decided to double-down by retrieving Elliott Abrams from storage and appointing him US Special Envoy to Venezuela. I mean, yes, of course, the Neocons are stupid and sociopathic enough not to ever care about others, but in this case I think that we are dealing with a “Skripal tactic”: do something so ridiculously stupid and offensive that it places all your vassals before a stark choice: either submit and pretend like you did not notice or, alternatively, dare to say something and face with wrath of Uncle Shmuel (the Neocon’s version of Uncle Sam). 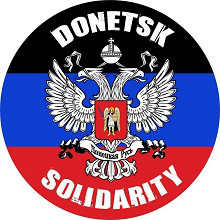 And it worked, in the name of “solidarity” or whatever else, the most faithful lackeys of the Empire immediate fell in line behind the latest US aggression against a sovereign nation in spite of the self-evident fact that this aggression violates every letter of the most sacred principles of international law. This is exactly the same tactic as when they make you clean toilets with a toothbrush or do push-ups in the mud during basic training: not only to condition you to total obedience, but to make you publicly give up any semblance of dignity. This is not just a case of history repeating itself like a farce, however. 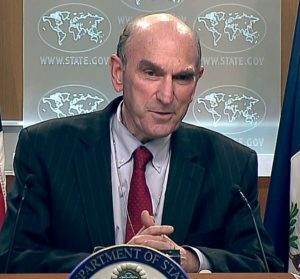 It is hard to overstate how totally offensive a character like Elliott Abrams is for every Latin American who remembers the bloody US debacle in Nicaragua. 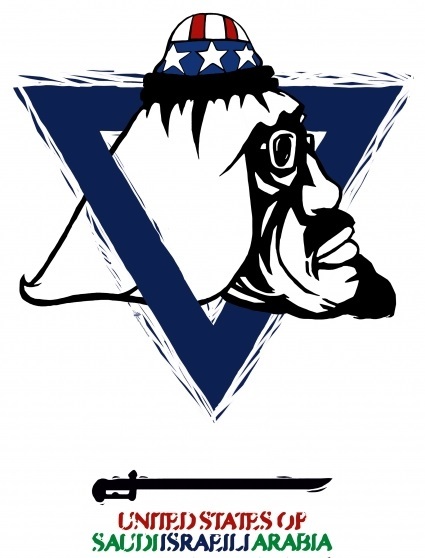 US vassals now have to give up any type of pretend-dignity in front of their own people and act as if Abrams was a respectable and sane human being. I believe that this kind of “obedience conditioning by means of humiliation” is not just a case of the Neocons being idiots, but a deliberate tactic which will, of course, backfire and end up hurting US puppets worldwide (just like the pro-US Russian “liberal” opposition was eviscerated as a result of being associated by the Russian public opinion with the US policies against Russia, especially in the Ukraine). Finally, these appointments also show that the senior-Neocons are frightened and paranoid as there are still plenty of very sharp junior-Neocon folks to chose from in the USA, yet they felt the need to get Abrams from conservation and place him in a key position in spite of the strong smell of naphthalene emanating from him. This reminds me of the gerontocrats of the Soviet Politburo in the worst stagnation years who had to appoint the likes of Chernenko to top positions. The one thing the Mr MAGA’s administration has in common with the late Brezhevian Politburo is its total inability to get anything done. My wife refers to the folks in the White House (since Dubya came to power) as the “gang that couldn’t shoot straight” and she is right (she always is! ): they just can’t really get anything done anymore – all their half-assed pseudo-successes are inevitably followed by embarrassing failures. As I wrote in my article “The good news about the Trump Presidency: stupid can be good!” these folks will only precipitate the collapse of the AngloZionist Empire, which is a very good thing. The bad thing is, of course, that the Neocons are negating any chance for a gradual, phased, collapse and are, instead, creating a dynamic in which a sudden, catastrophic, collapse becomes much more likely. 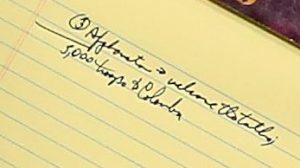 Now we have all seen the latest antic from Bolton: showing up with a yellow pad with “5,000 troops to Colombia” written on it. Again, this might be a case of Bolton being senile or not giving a damn, but I doubt it. I think that this is just another oh-so-subtle way to threaten Venezuela with a US-led invasion. And, really, why not? If the Empire thinks it has the authority and power to decide who the President of Venezuela should be, it has to logically back up this stance with a threat, especially since there is no US authority, moral or otherwise, left. The obvious question here is how this threat will be received in Venezuela and that largely depends on how credible that threat is. Now, “5,000 troops” could mean anything, ranging from a infantry brigade combat team to the typical US mix of as many putatively “special” forces as possible (to make every service happy and give everybody a piece of the expected (but never achieved) “victory pie” – many careers in the US depend on that kind of stuff). At this point in time, I rather not speculate and get technical about how such a force could be structured. Let’s just assume that it will be an overall credible and well-packaged force and try to speculate how the Venezuelans could react to it. A military, any military, is always the product of the society which produces it and this is also true of Venezuela. It would be silly to admit that the Venezuelan economy is a total mess while expecting the Venezuelan armed forces to be a shining example of professionalism, honesty and patriotism. The sad reality is very different. For one thing, much of the Venezuelan military is hopelessly corrupt, as is the rest of society. In a country whose economy is imploding, this is hardly surprising. Furthermore, for years both Chavez and Maduro have fought an uphill battle to remove as many potential traitors and class enemies (in a Marxist sense of the word) from the Venezuelan military and replace them with “socially close” (a Bolshevik concept) elements from the poorer sections of society. Truth be told, this was a partially successful strategy as seen by the fact that during this latest coup attempt the Venezuelan military overwhelmingly supported the Venezuelan Constitution and the legitimacy of Maduro. And yet that kind of loyalty often comes at the costs of professionalism and at the risk of corruption as seen by the case of the Venezuelan military attache to the USA who clearly was a US agent. I am afraid that the current situation in Venezuela might be similar to what it was in Syria in the very early stages of the AngloZionist war against this country when scores of top officials of the Syrian government proved to be traitors and/or US agents. In Syria the government eventually re-took control of the situation, but only with a great deal of help from Iran and Russia and after almost being toppled by the US-run Takfiri forces. The good news here, according to my friend, is that the Venezuelan special forces (army special forces, jungle infantry troops, “Caribe” counter insurgency units, airborne units, etc) are in a much better shape and that they could form the core of a resistance force to the invasion, not unlike what the Republican Guard eventually did in Iraq. But the biggest difference with Iraq is that in Venezuela the majority of the people are still backing Maduro and that any invasion force should expect to meet a lot of resistance of the type which the US encountered in Iraq after the invasion of the country. Also, there was a fragile truce of sorts between Hugo Chavez and various Left-wing guerillas who agreed to stop their military operations, but who also kept all their weapons “just in case”. This “case” has now happened and we can expect that any US invasion will trigger an immediate re-emergence of a Left-wing guerilla force which, combined with popular support and the key role of a core of patriotic Venezuelan special forces could form a very dangerous combination, especially in the mid to long term. Keep in mind that corrupt officers don’t like combat and that while they might aid a US invasion force, they will only do so as long as things seem to go the easy way, but as soon as things go south (which is what always happens to US invasion forces) they will run as fast as they can. So while the endemic corruption now will be a problem for the Maduro government, it will become a problem for the US as soon the legitimate government is toppled. Comparisons are necessarily tricky and crude, but with this caveat in mind, don’t think “Syria” but rather think “Iraq” when considering the possible outcomes of a US invasion. This is really crucial. Hugo Chavez’ reforms alienated a lot of Venezuelans, especially those who made their fortunes by servicing US interests and who became your typical Latin American version of a comprador class. Much of the middle-class also got hurt and are angry. 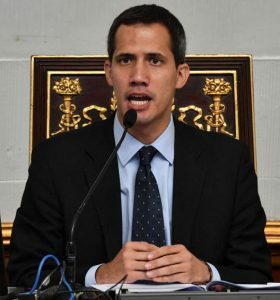 However, these same reforms also empowered huge numbers of destitute and poor Venezuelans who, for the first time, felt that the government stood for their interests and who remember what it was like to live in abject poverty under a US-backed regime. These folks probably have no illusion about what the toppling of this government would mean for them and they are likely to fight hard, if not necessarily competently, to keep the little rights and means they acquired during the Chavez years. There is even what is sometimes referred to “Chavistas without Chavez” which some describe as potential back-stabbing traitors while other see them as more pragmatic, less ideological, faction of Chavez supporters who decry Chavez’ mistakes but don’t want their country to turn into a Colombia-style US colony. Whatever may be the case, Hugo Chavez’ pro-popular policies left a very profound mark on the country and you can expect that a lot of Venezuelans will take up arms and resist any US/Colombian invasion. Would *you* trust that face? Here I think we can all express our heartfelt gratitude to Mr MAGA whose appointment of Elliott “Iran-Contra” Abrams has done more than any government sponsored propaganda to clearly and bluntly explain to the Venezuelan people who is doing what to them and why. First, to re-take control of Venezuela’s immense natural resources. Second, to prove to the world that Uncle Shmuel can still, quote, “pick up some small crappy little country and throw it against the wall, just to show the world we mean business“, unquote. The obvious problem is that 1) nobody takes the US seriously because 2) the US has not been capable of defeating any country capable of resistance since many decades already. The various US special forces, which would typically spearhead any invasion, have an especially appalling record of abject failures every time they stop posing for cameras and have to engage in real combat. I assure you that nobody in the Venezuelan military cares about movies like “Rambo” or “Delta Force” while they carefully studied US FUBARs in Somalia, Grenada, Iran and elsewhere. You can also bet that the Cubans, who have had many years of experience dealing with the (very competent) South African special forces in Angola and elsewhere will share their experience with their Venezuelan colleagues. Last but not least, there are a lot of weapons in circulation in Venezuela and which the various popular militias and National Guard would be more than happy to further distribute to the local population if any invasion appears to be successful. Does all this not look boringly familiar? Does this bizarre mix of Neocons, gerontocrats and deepstaters really, sincerely, believe that this time around they will “win” (however you define that)?! More relevantly – has this recipe ever worked in the past? I would say that if we accept, for argument’s sake, that the goal is to “restore democracy” then obviously “no”. But if the goal is to wreck a country, then it has worked, quite a few times indeed. I recently replied the following to a friend asking me about a possible Russian intervention in Venezuela “I place my own hopes not in the Venezuelan military, or in Chinese or Russian help, but on the amazing ability of the US Americans to f*** up. At the end of the day, that is our biggest ally: the US stupidity, ignorance, arrogance and cowardice“. Think of what currently passes as a “policy” of the USA in Venezuela as a diagnostic tool. In its short and blood-soaked history, the USA has pretty much always acted like some criminal enterprise run by brutal gangsters, but in the past some of these gangsters could be extremely well educated and intelligent (think James Baker here). Today, their guns are still lying around (albeit in various states of disrepair), but they are wielded by ignorant retards. Yes, ignorant retards with guns can be very dangerous, but they can never be effective! Right now the US, backed by its various colonies and vassal states, appears to be ready to deliver a death blow to Venezuela and, truth be told, they might be able to do just that. But, for whatever it is worth, my gut feeling is that they will fail again, even against the weakest countries of the Axis of Resistance. That is not to say that Venezuela is not in a heap of critical problems. But I believe that in spite of being in a critical condition, Venezuela will be able to bounce back, just like Syria did. After all, the Syrian example proves that it *is* possible to resist a superior invading force while at the same time successfully engaging in critically needed reforms. Yes, today’s Caracas is in very bad shape, but the city of Aleppo was in a much worse shape until it was liberated, and now quasi-normal life has returned to it (in sharp contrast to the US liberated devastated city of Raqqa which still lies in ruins). Yankees (to use the usual Latin-American expression) are just like their Israeli overlords: they are capable of devastating violence but they have no staying power: if things don’t go their way fast, really fast, they run and barricade themselves somewhere faraway from danger. In our case, they might even do what they did in Iraq and Afghanistan: build obscenely huge embassies, create a special zone around them, and sit tight while the country is engulfed in a bloody civil war. This way, they can provide CNN & Co. with footage of a “peaceful neighborhood” while still claiming that the Stars and Stripes are still proudly flying high over the enemy’s capital and that “these colors don’t run”. This would be a disastrous outcome for the Venezuelan nation and this is why we all have to try to prevent this, by speaking out before the US further wrecks yet another country.